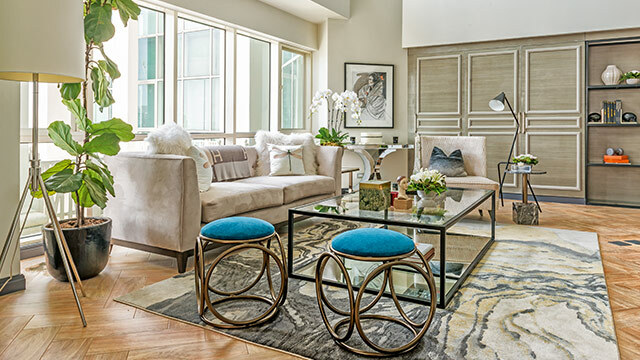 Luxe materials and well-selected furnishings put these condo units in the spotlight. Iza worked with her good friend, interior designer Nix Alanon, to achieve a space that shows off her glam yet edgy personality. The award-winning actress was hands-on in the renovation process, carefully selecting which parts of the loft-type condo to retain and which parts to inject her personal style in. 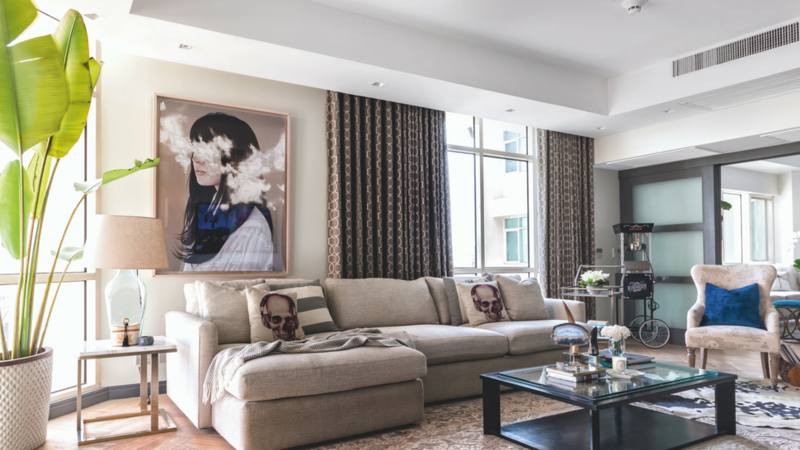 The result is an airy, refreshing unit with luxurious furnishings and interesting art pieces. Indoor plants thrive due to the expansive windows while giving a tropical vibe to the space. 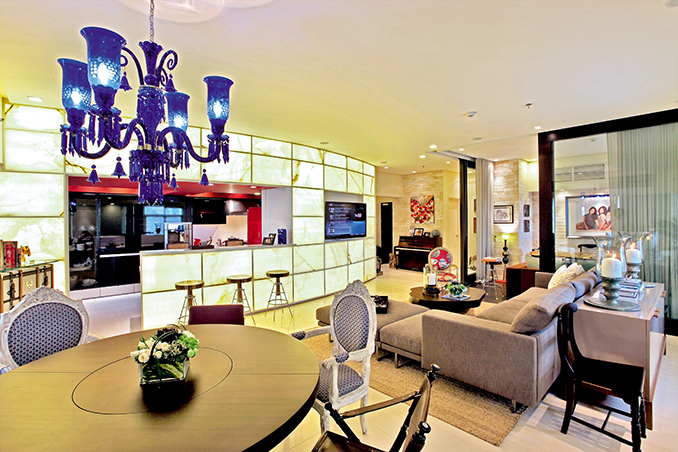 Before James Yap started a family with girlfriend Michela Cazzola, the star player lived in a 140sqm, two-bedroom condo unit in Bonifacio Global City. 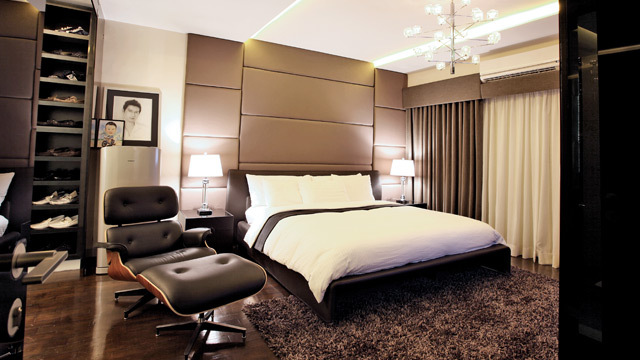 He put interior designer Kim Policarpio in charge of transforming the semi-furnished unit into one that is decidedly sleek and masculine, reflective of the man of the house’s personality. Sumptuous finishes like leather, velvet, and chrome interplay to create a home that any bachelor would want to call home. Lifestyle and fashion blogger Laureen Uy has actually renovated her condo unit—but this is what it looked like before she made any changes. She tapped her cousin, interior decorator Elle Uy-Aguell, to convert what used to be her older brother Vince’s home into a space bursting with bright colors and unique patterns. White and cream furniture serve as the perfect backdrop for Laureen’s assorted throw pillows to pop out. Anne’s bachelorette condo is a revelation—it’s not a girly pink unit like you would expect from the one of the bubbliest hosts in the country. Instead, the pad takes inspiration from various design styles, masterfully mixed-and-matched by Rossy Yabut-Rojales of Heim Interiors. 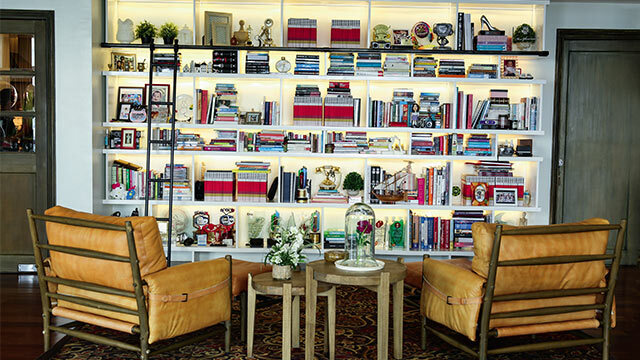 A luxe Persian rug anchors the living area, which features an expansive bookcase that holds various literature and knick-knacks. KC Concepcion doesn’t shy away from prints and patterns, as evidenced by the condo unit she showed off to YES! Magazine just a few years ago. The actress, who spent some of her adult years living in cramped apartments in Paris, knocked down a few walls to create a welcoming space where she could entertain friends and family. Particularly stunning is the lit onyx wall that separates the living area from the kitchen.